PWS/PWD – sandwich panels in metal plates with styrofoam core. During the designing process, we focused especially on achieving the best parameters of use –Modern technology and special attention to quality of every production stage, has helped to achieve the best parameters. Portfolio consists of wall and roof sandwiches for light construction of industry halls, warehouses, logistic centers, commercial buildings, offices, sport halls as well as rural buildings. In addition we offer dedicated sandwich panels for food cold stores. FIRESAFE - the best fire-tightness parameter on the market achieved thanks to unique, both-sided shape of the panel-and-lock joint EI240 for BALEXTHERM-MW-W-ST, EI60 for BALEXTHERM-MW-W-PLUS , E30 for BALEXTHERM-PU-W-PLUS and PWD, E60 for BALEXTHERM-PU-W-ST and PWS, and for BALEXTHERM-PU-R even RE60; product classified as „NRO” – „Not spreading fire"
SUPERIOR GASKET – maximum tightness of the joint and easier assembly of BALEXTHERM-MW mineral wool core sandwich panels owing to application during the production process of an EPDM gasket in internal or both sides of the joint - NEW! 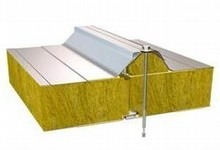 The nomenclature of BALEXTHERM sandwich panels.